Ride-hailing service providers such as Grab will likely be listed as e-charter transport operators, heard attendees at a meeting to discuss a draft Government decree replacing Decree 86 on the transport business and its conditions on April 8, reported the local media. The Ministry of Transport organized the meeting with other ministries, transport operators and associations to collect feedback for the eighth version of the draft decree before presenting it to the prime minister prior to April 15 as scheduled. Many participants at the meeting proposed Grab be listed as an e-charter transport operator. A representative from the Ministry of Public Security (MPS) noted that Grab was a new transport service provider that applies technology to its operations. Its services are widely used by the local people thanks to its convenient features. The MPS representative suggested the relevant agencies clarify Grab’s business structure and categorize it in accordance with prevailing regulations, while imposing stringent management policies on the firm in terms of safety requirements for vehicles and drivers, service costs and tax and financial obligations to the State. 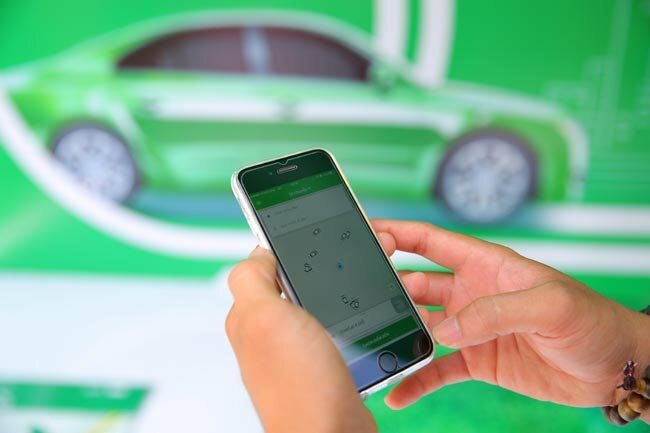 Representing Grab Vietnam, Nguyen Ngoc Trang asserted that Grab functions as an ecommerce trading floor as it was previously registered with the Ministry of Industry and Trade. He also pointed out that some terms stipulated on the draft decree were redundant and illogical. Meanwhile, some participants at the meeting voiced their opposition to the suggestion to list Grab as an e-charter transport service provider. Nguyen Cong Hung, chairman of the Hanoi Taxi Association, was quoted by Nguoi Lao Dong Online as saying that the application of electronic features to operations is merely a transport connection method. It is illogical to name a new transport service type based on the connection method, Hung said. Also, Khuat Viet Hung, vice chairman of the National Traffic Safety Committee, stated that the five types of transport services regulated in the Law on Road Traffic were enough and creating a new service type was not needed. Wrapping up the meeting, Deputy Minister of Transport Le Dinh Tho remarked that the unit compiling the draft decree will take the feedback into consideration. He suggested the relevant parties continue to work on the draft decree before sending it to the prime minister.